Sherry has long had an unfair reputation. Dismissed as the stuffy drink of choice for aging British aristocrats, or sickly sweet jug wine more suited to cooking than drinking. Fortunately the variety and quality of sherry is being rediscovered. 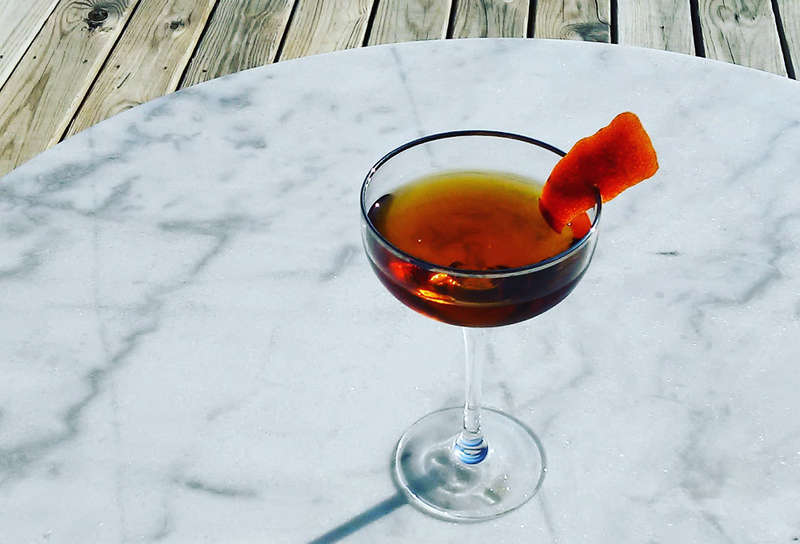 Sommeliers and bartenders are putting it back on menus and serving up classic, sherry-based cocktails from more than a century ago. This cocktail takes its name from the musical Adonis, one of the first Broadway hits back in 1884. Easy to prepare and lower in alcohol than most cocktails, it's a fine way to begin an evening, or end one. I've seen some recipes that call for fino sherry, but I prefer to use oloroso or amontillado, such as the ones from Lustau. The richer, rounder flavors of these sherries pair well with a more full-bodied sweet vermouth like Carpano Antica. Orange bitters are key as the citrus pulls it all together. Combine ingredients in a mixing glass with ice, stir, and strain into a chilled cocktail glass. Garnish with an orange peel. This is a guest post written by Ben Madeska, Wine Manager at Binny's Hyde Park.